Start your lunch meal at Oxy Oriental with one of our fantastic starters. 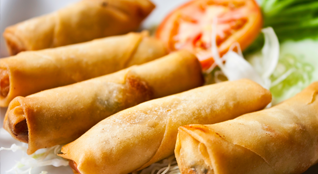 Choose from over 50 amazing starters from our buffet. Continue your lunchtime voyage to Asia and get your taste buds tingling with some of our round the world dishes. Guaranteed to satisfy your hunger. Top off your lunch with something sweet from our dessert selection. Don’t worry, it’s all for one affordable price! Selection of Branded Spirits, Liqueur, Brandy and Whisky and more. Start your evening meal at Oxy Oriental with one of our fantastic starters. Choose from over 50 amazing starters from our buffet. 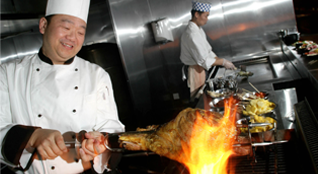 With over 80 main courses from across Asia; including Thai, Malaysian, Chinese & Japanese. We can guarantee there will be something for everyone. Watch as our talented and passionate chefs cook up your favourite dish in front of your eyes. With the best Teppanyaki in Oxford you’ll be satisfied with every bite. When you want something sweet to finish of your meal in style, Oxford’s best buffet won’t disappoint. Choose from an amazing selection of desserts from across Asia. Looking to wash down our amazing buffet food with something equally tasty? Have a look at our extensive drinks menu and pick your favourite. These are sample menus only, we regularly change dishes to offer variety.